The American Bar Association ("ABA") Young Lawyers Division has selected Wheeler Trigg O’Donnell (WTO) associate Chuan “CiCi” Cheng to its 2018 On the Rise list. The list honors 40 lawyers nationwide age 36 or younger for their exceptional work in the legal industry. Cheng joined WTO in July 2018 from the commercial litigation department of a large, full-service law firm based in Denver. 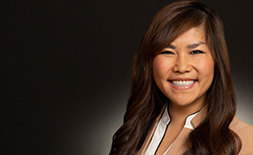 In its recognition, the ABA points to Cheng’s role as a commercial litigator who develops cohesive and captivating case theories and strategies and resolves disputes efficiently and creatively for her clients. She has handled cases in diverse fields, including breach of contract, trade secret misappropriation, antitrust, and business torts. Cheng served as a judicial clerk to Judge R. Brooke Jackson at the U.S. District Court for the District of Colorado. Cheng thrives on pro bono commitments and avid community involvement. She is Co-President of the Colorado Pledge to Diversity, a nonprofit dedicated to improving the pipeline of diverse attorneys in Colorado through a flagship summer program that connects entry-level law school students with firms and in-house departments. A native Mandarin Chinese speaker, Cheng immigrated to the U.S. at age nine without knowing a word of English. As a result, Cheng has immersed herself in service to promoting diversity and inclusiveness in her community. Cheng earned her J.D. from the University of Colorado Law School in 2012, serving as associate editor of the Colorado Law Review and competing on both the National Mock Trial and Moot Court Teams. She earned dual B.S. and B.A. degrees in in Biochemistry & Molecular Biology and Political Science from the University of Georgia in 2009. Notably, Cheng was awarded the University of Georgia’s premier undergraduate academic scholarship, the Foundation Fellowship.